At Kip McGrath Albury Wodonga we provide professional tuition in English and maths to primary and secondary children. Success in learning helps to boost a child’s self esteem and encourages a positive attitude towards learning. Kip McGrath has been the leader in remediation tuition for 40 years, focusing on English, reading, spelling, comprehension and maths, for primary and secondary year students. We will create an individual learning programme specifically designed to suit your child’s needs. Each 80 minute session includes one-on-one attention with a tutor, and a combination of written and computer-based activities in a small group learning environment. 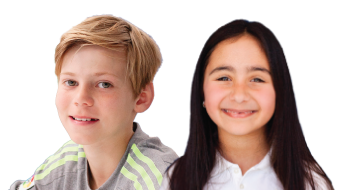 Kip tutors are qualified teachers, and by using our proven methods and techniques, we can help your child to improve or close the gaps in their learning.You will be kept informed with ongoing progress reports and regular tutor feedback. Book a FREE assessment today and find out how we can help your child build a brighter future!